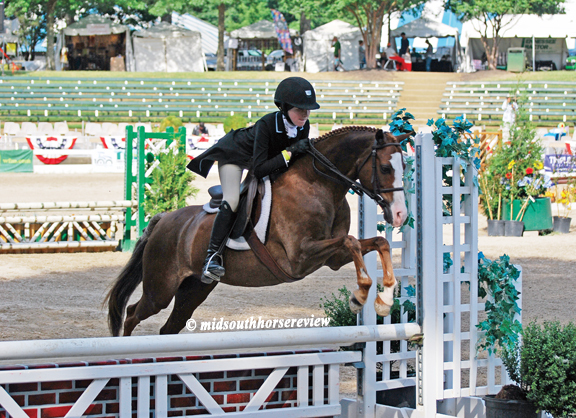 Celebrating its 70th anniversary this year, the Germantown Charity Horse Show offered five full days of hunter and jumper classes, with several special classes during the evening performances. Following is a summary of the classes and winners. 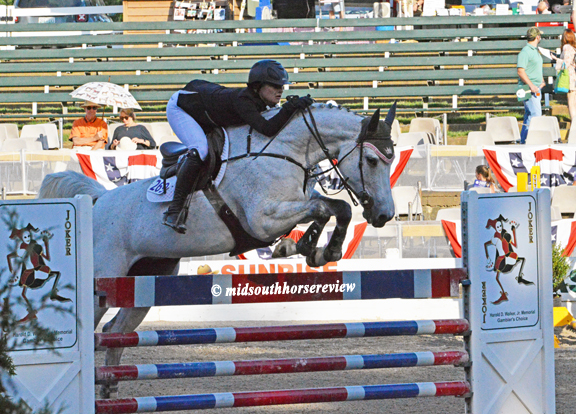 Tuesday night was the $5,000 GCHS Hunter/Jumper Versatility Challenge in which the same horse must perform consistently over first a hunter course and, second, a jumper course. The winning horse receives the “Keepsake Perpetual Trophy,” named after Keepsake, a 1990 Dutch Warmblood mare who could win with her amateur rider whether in style in the hunter ring or going fast over jumper courses. This year’s Versatility winner was a very elated Audrey Muscari and her Ricardo. Audrey trains at Oak Crest Farm with Jane Olsen. 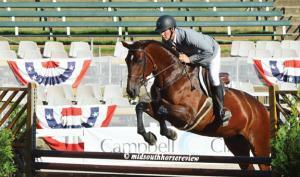 Michael Tokaruk took the second, fourth, and fifth awards with Karma, Trademark Darmanville, and Corcovado BG, respectively. 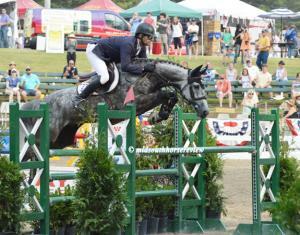 Michael Allen was third with Fig Street’s Duchess. 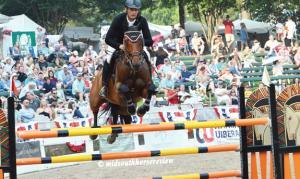 Wednesday evening’s jumper special was the 1.4M Welcome Stake. 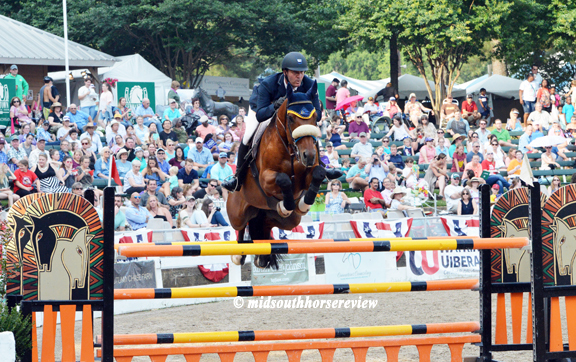 Perhaps as a prelude to Saturday’s Grand Prix, Christophe Schroeder took first place on his Atlanta, followed by third on Hallelujah, fourth on Tarzan D’Ivraie, and fifth on Finn McCloud. Grant Seger managed to squeeze into second place with his Catogi. Young rider Jorja Rose Jones gave them a good challenge with Diane Masters’ Light Show. Thursday evening featured two popular classes: the WIHS/NAL Children’s/Adult Amateur Jumper Classic and the Walker family-inspired Gambler’s Choice. 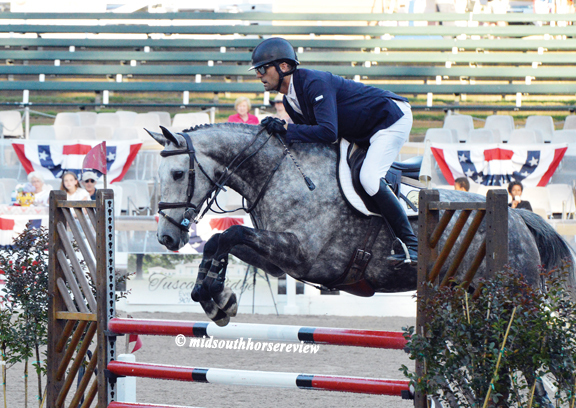 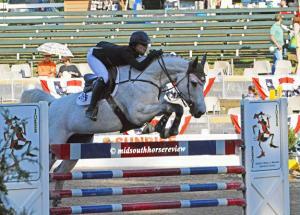 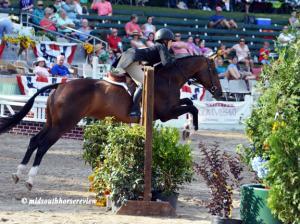 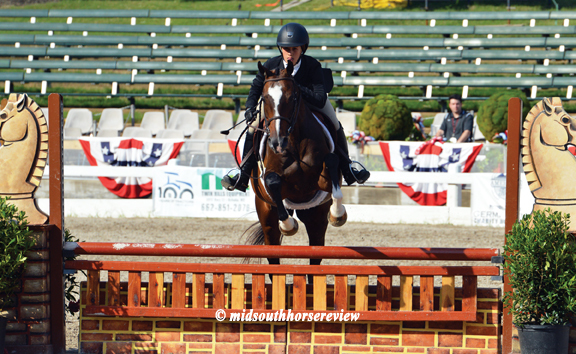 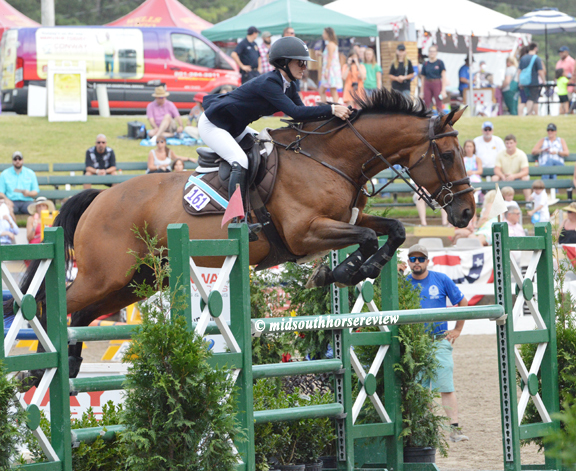 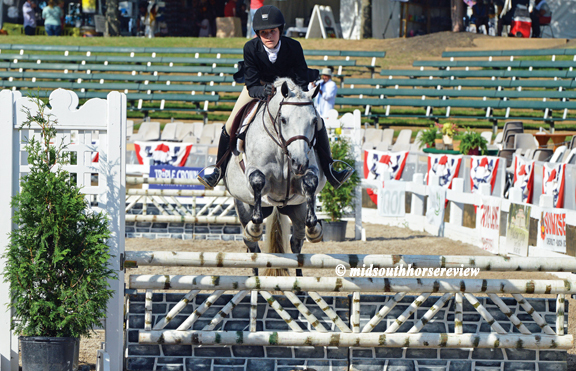 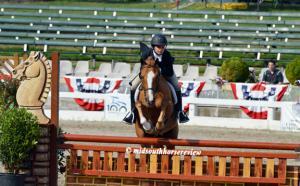 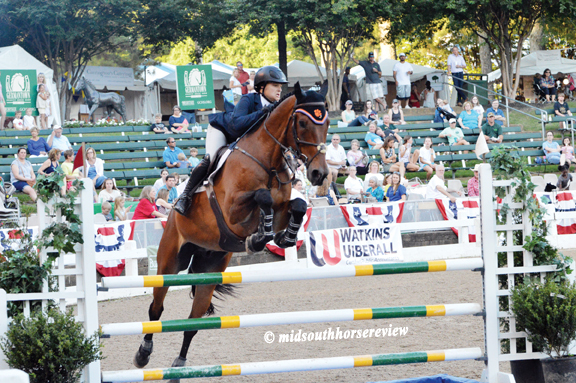 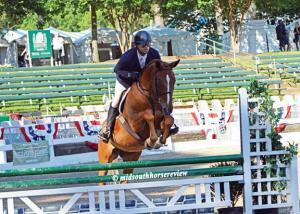 In the WIHS/NAL Children’s/Adult Amateur Jumper Classic, Audrey Muscari was back in the winner’s circle with Ricardo. The Gambler’s Choice was always a favorite class of the late Harold Walker, past president of the GCHS and long time supporter of the show. So his family has, for the past several years, sponsored the class, donating the cleverly created trophy. 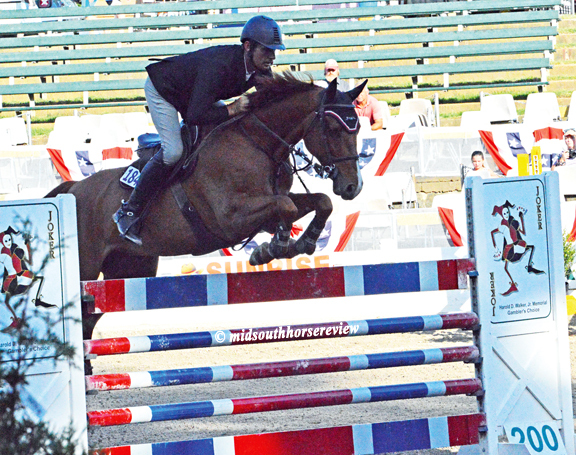 Each fence has a stated number of points and there is no specified course: the rider chooses which fences to jump and in what order. 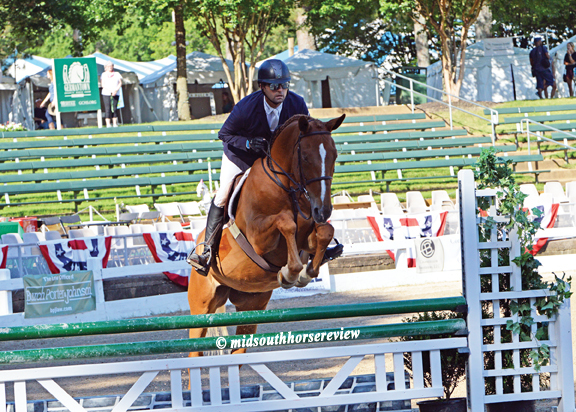 The rider who earns the most points within the allotted time wins. Then there’s the bonus jump – the Joker – worth 200 points. 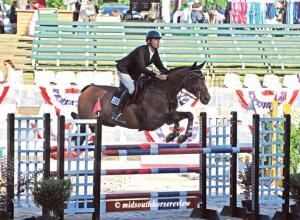 If it is jumped clean, 200 points are added to the rider’s total. 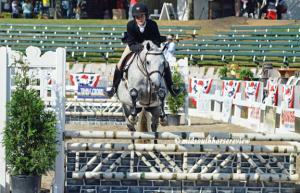 If the horse knocks down a rail, 200 points are deducted from the rider’s total. 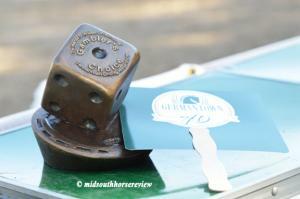 There was some tough competition doing their best to rack up as many points as possible within the allotted time. 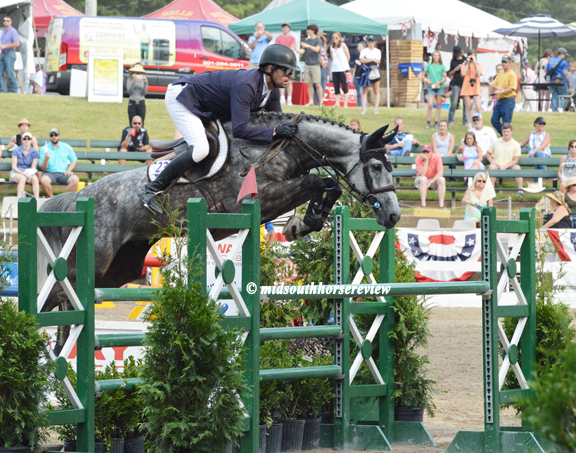 But, once again, it was Christophe Schroeder taking the win, this time on Finn McCloud. 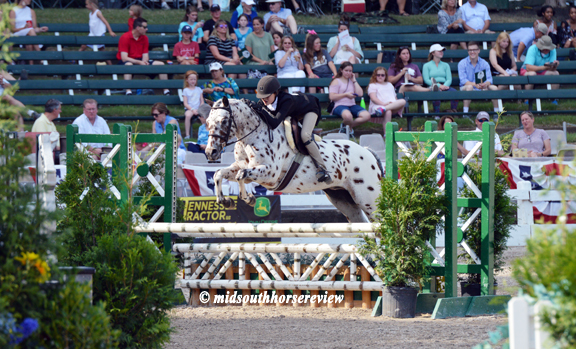 In fact, the carriage folks realized how much fun the Gambler’s Choice is for jumpers so they created their own Gambler’s Choice for carriages following the jumper class. 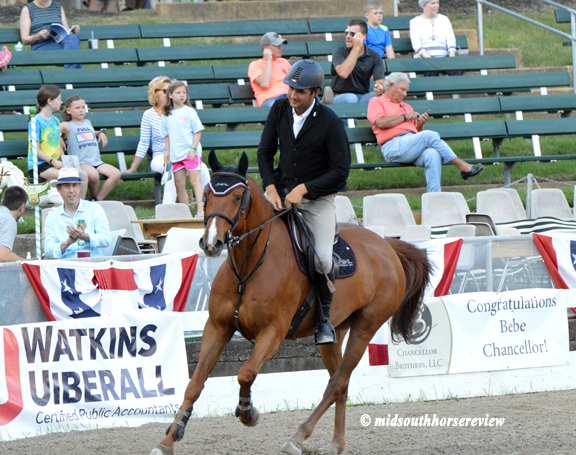 On Friday night the hunters were in their best formal attire, i.e., tails, for the second rounds of the $2500 Pony Hunter Classic and the $5000 Germantown Hunter Classic. 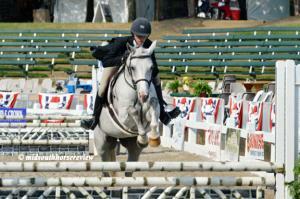 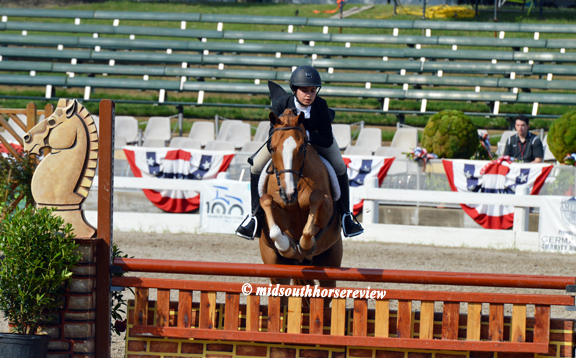 It was no secret that Calder Trotz and Not So Secret were the winners of the Pony Hunter Classic. 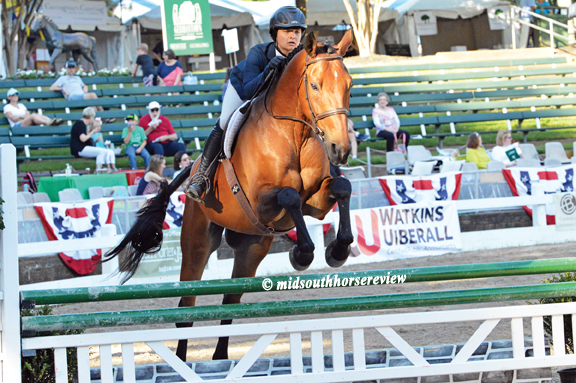 McKenzie Welch and Magical Me were in the reserve spotlight, with Kali Wright Ryan and Jack In The Box taking third place. 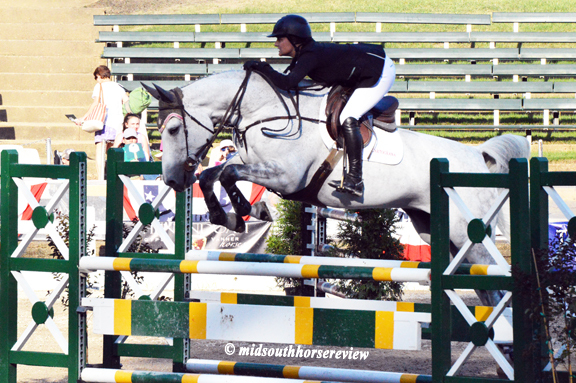 In the Germantown Hunter Classic, Lucy Reich led the way on Indelible, with Corrado and Abigail Beaty in the reserve spot. 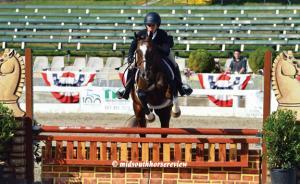 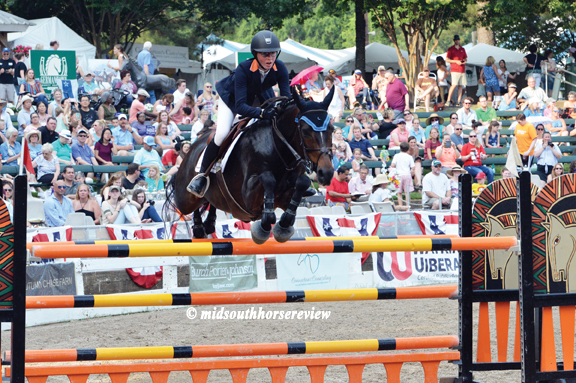 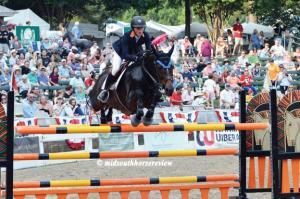 Saturday night’s grand finale was the $25,000 Grand Prix of Germantown. 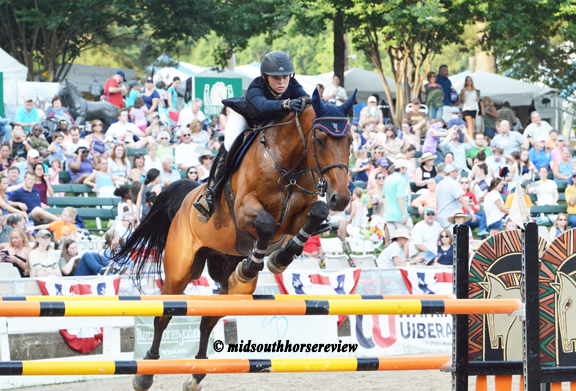 Prior to the start of the jumping, former Olympian Melanie Smith Taylor and course designer/show manager Philip DeVita explained the course, along with some comments from Michael Tokaruk about the course. 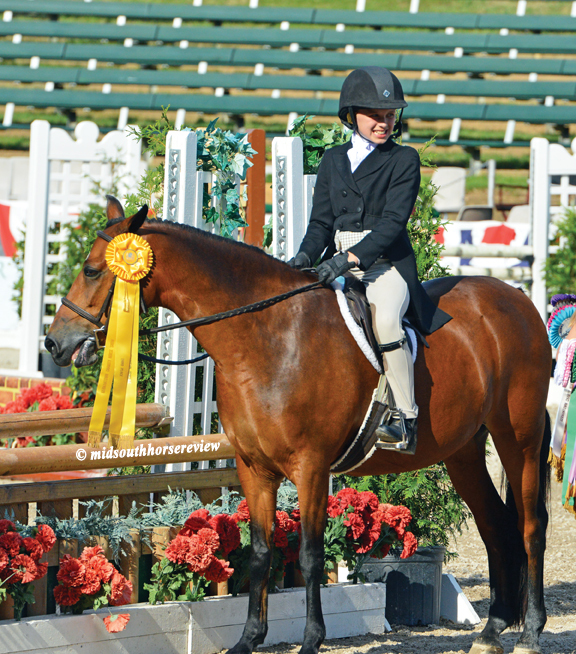 A lot was at stake and riders brought back their best horses to, hopefully, take home the grand prize of the show. 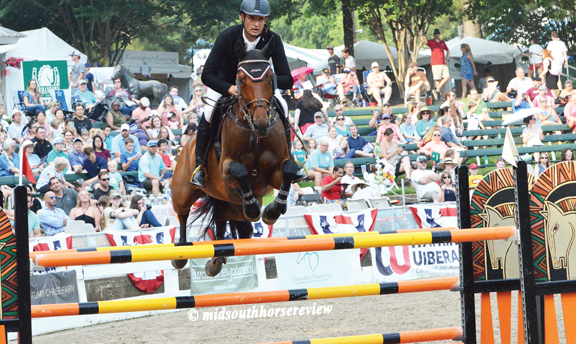 Once again, Christophe Schroeder dominated the class, taking first on Atlanta, fourth on Tarzan D’Ivraie, eighth on Hallelujah, and tenth on Duran Duran. 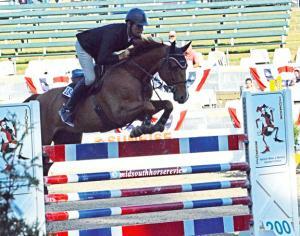 Michael Tokaruk was in the reserve position on his black horse Trademark Darmanville. And the surprise-delight of the class was Jorja Rose Jones bringing home third on Light Show.